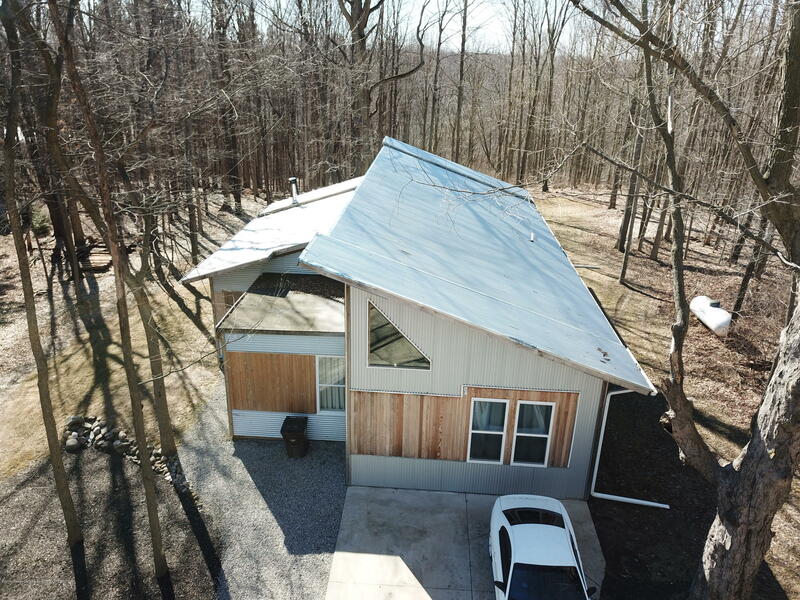 This unique contemporary home with a wooded setting is absolutely stunning. From the front door, the vaulted ceilings, and high end touches make this home stand out from the crowd. Bamboo, and ceramic throughout give it a bright and inviting feel. The Kitchen features quartz counter tops, and unique cabinets that are very impressive, the size alone makes this great for entertaining. The bathroom has just been remodeled and reminds you of a luxury hotel. The home also feature's in floor 4 zone radiant heat, and a wood stove to keep the heating bills to a minimum and the family cozy. Basement is ready to finish, and already has egress installed in case you need another bedroom. Words really can't describe all the features of this one, schedule your private showing today, before it's gone. Directions: BATTLE CREEK HWY SOUTH, TO MAURER SOUTH, HOME IS BEFORE BROADWAY ON THE WEST SIDE.